The purpose of a wood conditioner is to partially seal the grain of porous wood, which allows the stain to penetrate evenly and provide uniform color. A number of companies manufacture pre-stain wood conditioner, and most formulas call for a large concentration of solvents, such as petroleum distillates or naphtha, carrying a dissolved solid, such as styrene plastic or an alkyd resin. 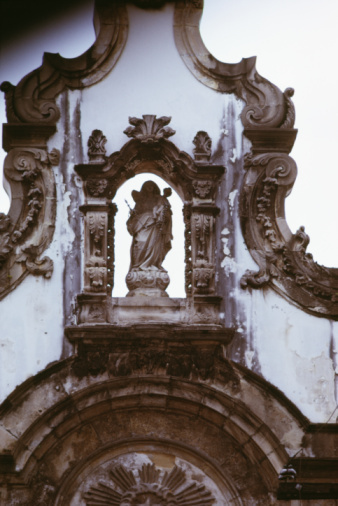 If such a formulation sounds too complicated to mix yourself, a simplification in the terms may help: A wood conditioner is basically a wood finish reduced to a very thin consistency. Consider the case of knotty pine. 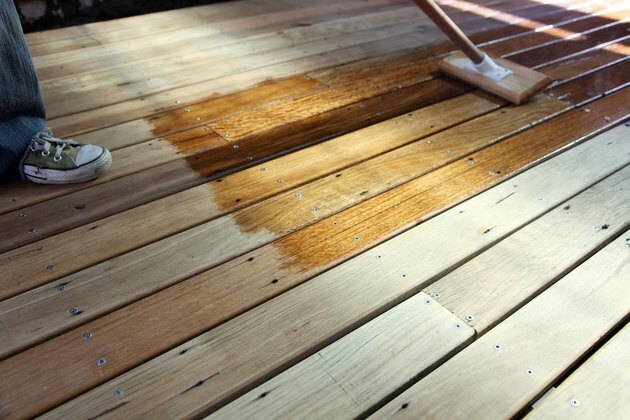 When you apply a stain without first applying a pre-stain conditioner, the stain soaks deeply into the sapwood and remains on the surface of the resin-rich knots. A wood conditioner soaks into the sapwood and prevents blotching, so the overall color is more uniform, although somewhat lighter, because the stain can't penetrate as deeply. When spraying lacquer, refinishers often begin by spraying a wash-coat – an ultra-thin coat of the same lacquer they use for topcoating. An analogous wash-coat for a varnish topcoat would be an ultra-thin layer of varnish. The wash-coat, which is similar to a wood conditioner, makes an especially dramatic difference on softwoods and hardwoods with irregular grains, such as birch and hickory. It allows the stain to penetrate just deeply enough to color the wood without accentuating inconsistencies in the grain. While a wood conditioner may have the same composition as a wood finish, it isn't a finish, and it shouldn't remain on the surface; it's important for it to soak deeply into the wood. Once it hardens, and you scuff the wood with 220-grit sandpaper, the conditioner should be barely noticeable, although it may darken the natural color of the wood a little. It's best to make wood conditioner out of a solvent-based wood thinner than a water-based one; water-based finishes are complex, and simply adding water won't necessarily make an effective wood conditioner. Varnish, shellac and lacquer can all be turned into wood conditioner as long as you use the appropriate solvent. Varnish should be reduced with mineral spirits or turpentine to serve as a pre-stain conditioner. For shellac, use denatured alcohol to thin it out. If you want to use lacquer, try lacquer thinner. If the humidity is high, use a thinner with a slow evaporation rate to avoid trapping moisture in the wood and causing cloudiness. The actual concentration of finish depends on the type of wood you're sealing as well as the finish itself, so you may have to experiment on a test piece of wood. Begin with a 50-to-50 solution of thinner and finish, wipe some on the wood, let it dry and and apply stain. If the stain color is too light or the stain doesn't penetrate, reduce the solids' content by adding more thinner. Use a turkey baster to accurately measure amounts. The wood conditioner should be thin enough to wipe on with a cloth, but you can also apply it with a paintbrush. The wood should be freshly sanded, and the conditioner should soak readily, although you may have to wipe off excess. Give the conditioner time to harden, or the stain might mix with it and sink deeper than you want. If you used varnish to make the conditioner, wait overnight before staining. You may have to knock down the wood grain with 220-sandpaper before you apply the stain. What Causes a White Haze After Applying a Polyurethane Satin Coat?